Ryan Rice, Kanien’kehá:ka of Kahnawake, is an independent curator and the Associate Dean, Academic Affairs in the Faculty of Liberal Arts / School of Interdisciplinary Studies at the Ontario College of Art and Design (OCAD) University (Toronto, ON). Rice served as the Chief Curator at the IAIA Museum of Contemporary Native Arts (Santa Fe, NM) and also held curatorial positions at the Indigenous Art Centre (Ottawa, ON), named curatorial fellowships with the Art Gallery of Greater Victoria (Victoria, BC) and the Walter Phillips Gallery (Banff, AB), and Aboriginal Curator-In-Residence at the Carleton University Art Gallery. 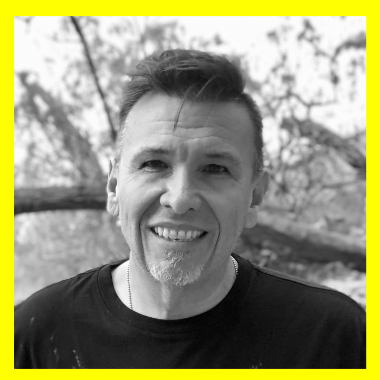 He received a Master of Arts degree in Curatorial Studies from the Center for Curatorial Studies, Bard College, New York; graduated from Concordia University with a Bachelor of Fine Arts in printmaking, and received an Associate of Fine Arts from the Institute of American Indian Arts. Rice’s writing on contemporary Onkwehonwe art has been published in numerous periodicals and exhibition catalogues, and he has lectured widely. Rice’s service to community, leadership, and organizational experience includes co-founder and former director of the Aboriginal Curatorial Collective, the Art Gallery of Ontario’s Education Council, the Inuit Art Foundation and the Native American Arts Studies Association board of directors.